Organization of the Week: League of Historical Societies of New Jersey ~ The History Girl! This week, I am featuring the League of Historical Societies of New Jersey. Founded in 1966, the League is composed of over two hundred twenty organizations that represent over forty-five thousand individual members. While most of the organizations in the League are local historical societies, it also includes statewide societies and related institutions, county agencies, museums, libraries and archival groups, historic preservation agencies, and a variety of other organizations and individuals devoted to and interested in New Jersey history. 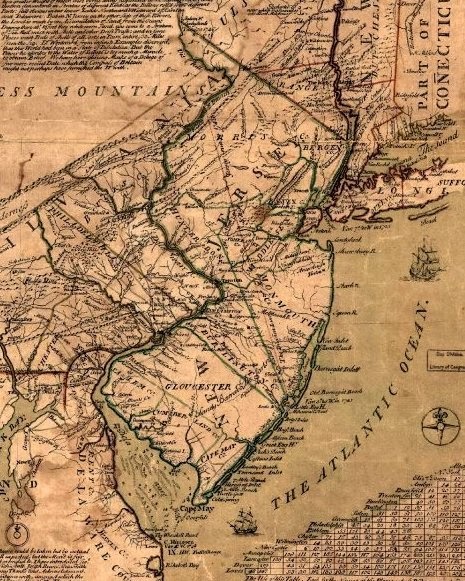 The members of the league share information and ideas about their activities and their problems, and about the work of other groups engaged in saving New Jersey history, county by county, and town by town. They conduct cooperative activities to advance preservation and knowledge of the history of New Jersey. The league holds three meetings each year for all of its members, one in each of the regions - Northern, Central, and Southern. The League of Historical Societies of New Jersey rely on memberships and countless volunteers to continue its mission. For more information on programs, special events, and meetings hosted by the League of Historical Societies of New Jersey or to become a member or volunteer, please call 908-722-7428 or visit www.lhsnj.org.